The Dark Knight was the second film in the acclaimed trilogy from Christopher Nolan. Of all the films, the second part stood out for pitting Batman against his most iconic villain, the Joker. In this remarkable film, Heath Ledger’s portrayal of Joker managed to leave an indelible mark. January 22 marks the actor’s death-anniversary. Here we look at 5 unknown facts about Ledger’s Joker. Michael Caine plays Alfred in Nolan’s trilogy and is a veteran actor who had been on the sets of Batman for a long time. 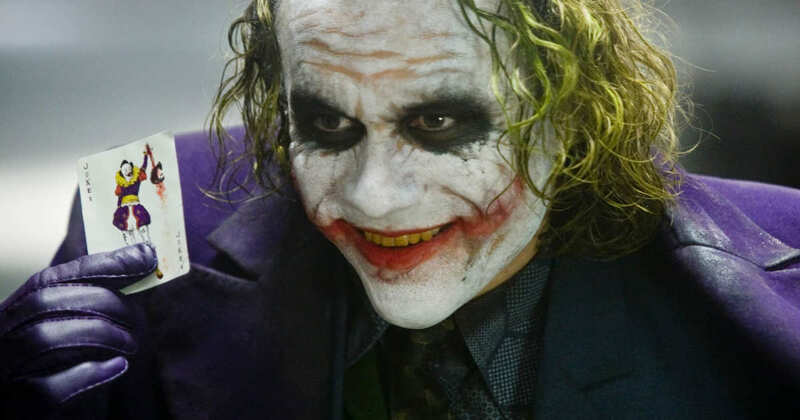 However, when Caine first encountered Ledger’s Joker in full makeup, during the elevator scene at Bruce Wayne’s party, he was so terrified that he forgot his lines. The actor later recounted that Ledger brought out a psychopathic side of Joker. Ledger won an Oscar for the best supporting actor for his role as Joker. At the 81st Academy Awards, he became the only person to win such an honor for superhero movies. More notably, Ledger had tragically passed away before the ceremony, making him the first person to win this award posthumously. Ledger’s Oscar forced the Academy to acknowledge the art in superhero films. Every artist needs inspiration and Ledger is no different. For his role of the Joker, he turned to Stanley Kubrick’s dystopian masterpiece A Clockwork Orange. Ledger studied the character of Alex DeLarge played by Malcolm McDowell. Ledger took the psychopathic eccentricities of Alex’s character and incorporated them into his truly original version of the Joker. This resulted in many of the disturbing mannerisms on-screen. Ledger brought immense originality into Joker which is what made the role unique. The actor used cheap makeup from the drugstore to portray how he wanted Joker’s mask to be. Not only was this different from all previous portrayals of Joker but was also approved of by Nolan. From then on, the makeup team was tasked with replicating Ledger’s designed look throughout the movie. Ledger maintained a journal where he recorded all the mad thoughts of the Joker. The journal gets disturbing with time including things like dead babies and blind geniuses. Towards the end of the journal, Ledger had apparently scribbled the Joker’s laughter, and written a farewell message on the last pages. It shows how the role affected him and led to the genius’ untimely demise.